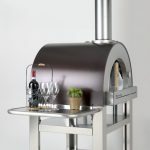 The ideal oven for Outdoor Kitchens and Counter Top applications. A centerpiece for outdoor entertaining. Design & functionality in one. In an outdoor kitchen or by itself, always an outstanding culinary experience. Sturdy 18.5” x 25” stainless steel preparation shelf for extra work space. Conveniently folds down. 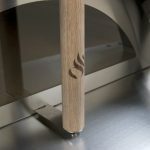 Adjusts up or down for shorter or longer oven tools as well as when storing the oven. 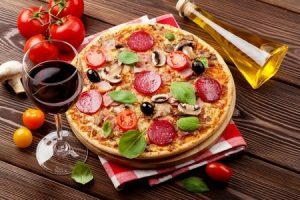 Refined architecture and cuisine just like the city in northern Italy. Experience the Renaissance. Majestic & Elegant. Perfection of style & performance. A showcase of entertainment & flame. Professional Grade Refractory Brick Hearth. Fully insulated with Ceramic insulation over the dome and under the hearth. 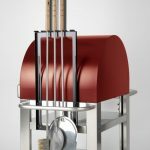 Better heat retention for internal temperatures of 850F (Max temp) and a safe to touch outer dome. 304 Grade Stainless Steel cart and shelves for extreme environments. 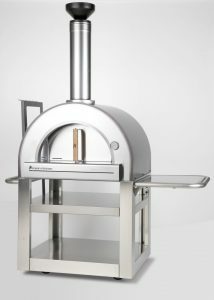 430 Grade Stainless Steel oven chamber for extreme temperatures inside. Flue opening lower than the top of the dome & outside the door. Creates a draft pulling smoke out the door and up the chimney. Heat is left to circulate within the dome. 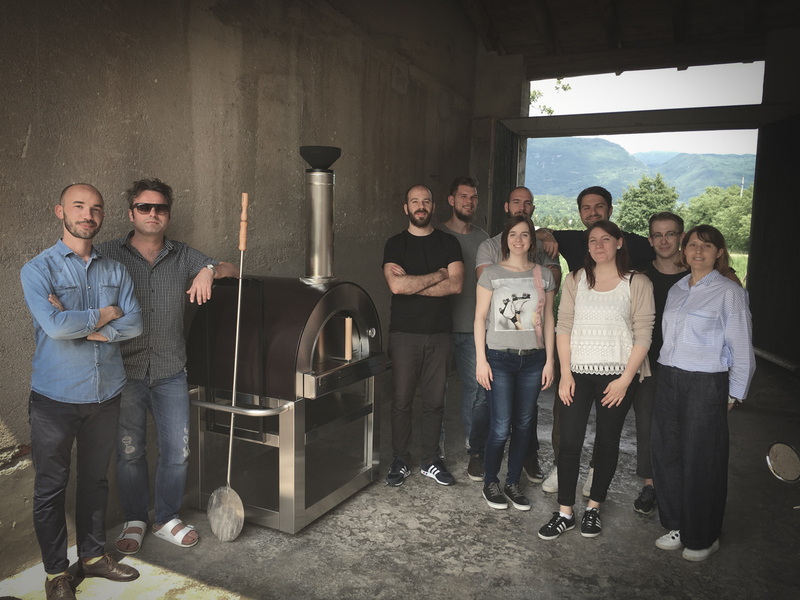 Our Design team is located just south of Venice Italy and is supported by dedicated Quality Assurance professionals and a full team of engineers. With warehouses in Chicago Illinois and Toronto Ontario we proudly support major retailers and independent specialty dealers across North America. 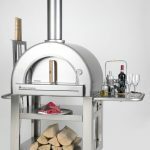 We also stock a large assortment of spare parts to ensure your Forno Venetzia lasts a life time. 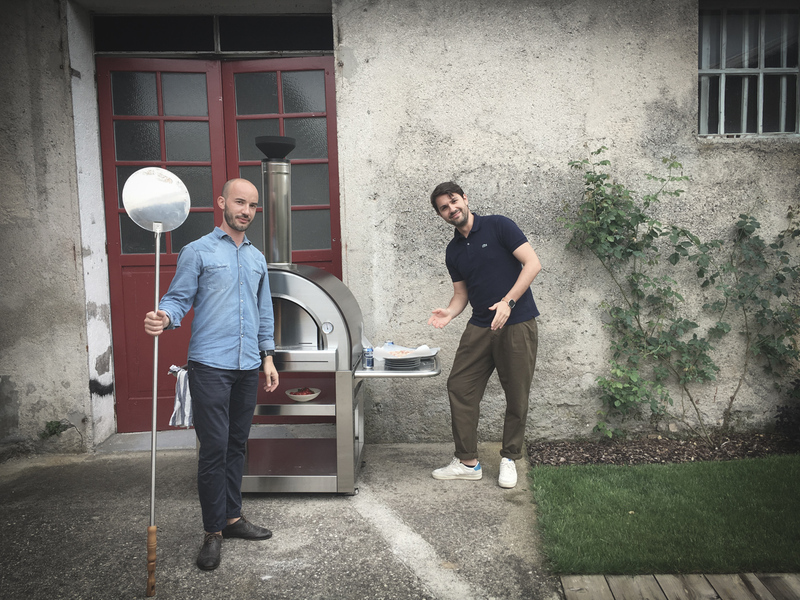 Our culinary adventure was ignited the first time we cooked in a wood fired pizza oven. 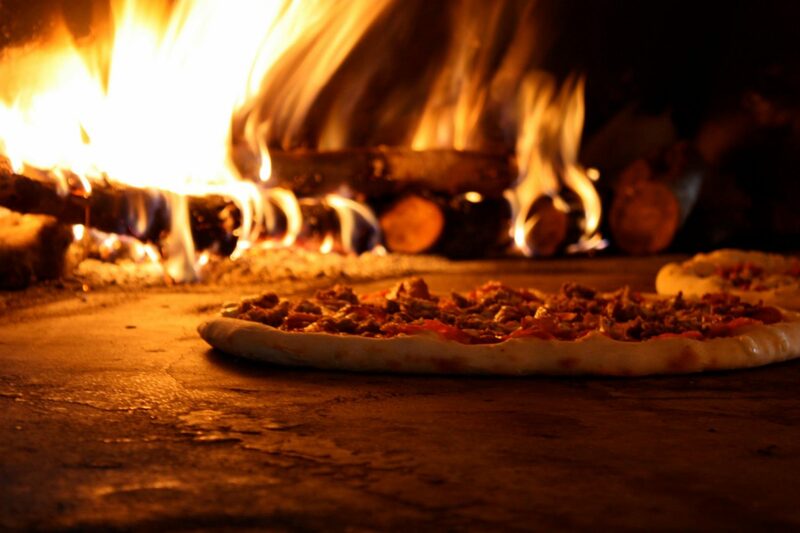 The pairing of succulent flavors with the ambience of a real wood fire, captured our imagination. The experiences of sharing remarkable cuisine, with family and friends and the warmth of the fire. It was the Renaissance of time- honored, old-world family dinning. 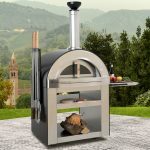 We recognized the choices available were limited to those few who were willing to pay the high cost for a good quality oven or those forced to sacrifice quality and design for an oven they could afford. 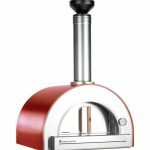 This sparked our Mission to develop Wood Burning Ovens of outstanding design, high technical standards and craftsmanship, at an affordable price. A well-made product that will be enjoyed for many years to come, bringing family and friends together for warm memories and memorable meals.